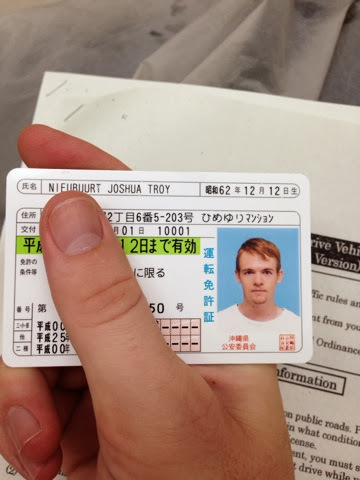 So over the past month I have been working to obtain my Japanese drivers license. For all the stereotypes we have about Asian drivers in the states I've found Okinawan drivers to generally be superb. With the exception of those few ruddy bastards who pull out in front of me (apparently it seems like a good idea to pull out in front of a scooter traveling 60 kph regardless if there is no one behind the scooter), try to drive through me when changing lanes or driving so close to me I can touch their car. Thankfully I feel like these are the few bad apples apparent in any bunch. In all I've been driving in Okinawa for about 8 months. 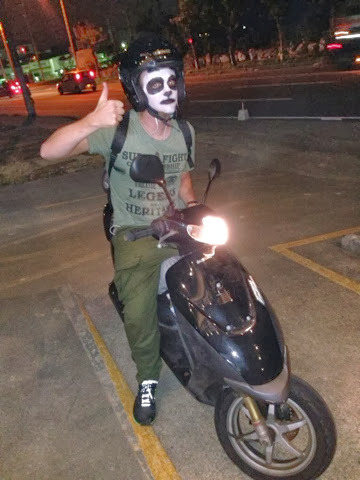 My usual ride, which I have found fit to give the name, The Black Leopard, is a tricked out moped. It's top speed is 60 kph and is an absolute joy to ride. I have also been allowed to drive my lovely girlfriends car as well (though it doesn't have a cool name... yet). Since my International Drivers Permit was due to expire rather soon it was time to get started on getting my license. The first thing you have to do is take a trip to the Japanese Automobile Federation (JAF). 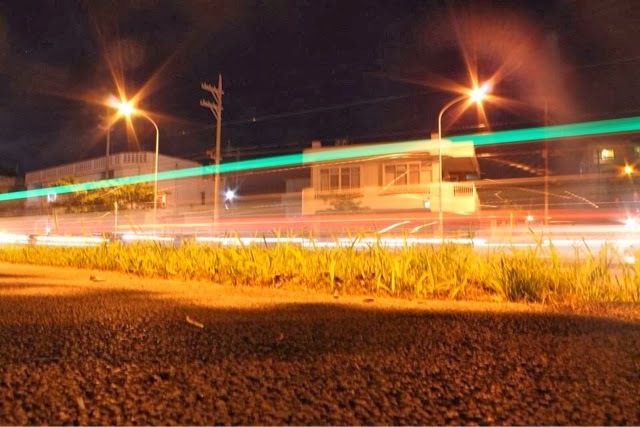 This office is located in Urasoe and can be a simple affair. You need your license from the US and some kind of proof that you lived there and drove there for at least 3 months before you came to Japan. This was a problem for me because I had renewed my license before leaving for Korea. The issue date was only a year and a half old and my passport proved I wasn't in the USA for most of it. THEN, they told me a passport couldn't be accepted as proof anyways because America doesn't stamp your passport when you return home. Luckily I had brought along my previous license and University Diploma to prove I had indeed been there to drive. Finding my license was either a well thought out stroke of genius or pure luck... I can't remember why I had packed it. 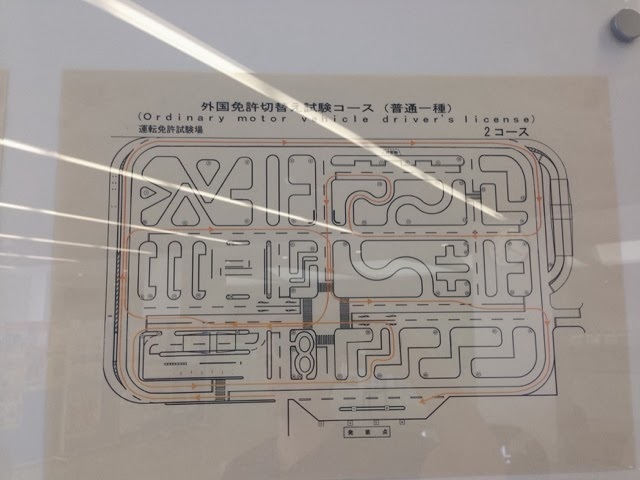 After you can prove your license and driving time they will take and translate them into Japanese. This will cost 3,000 yen and take about an hour if you do it in person. 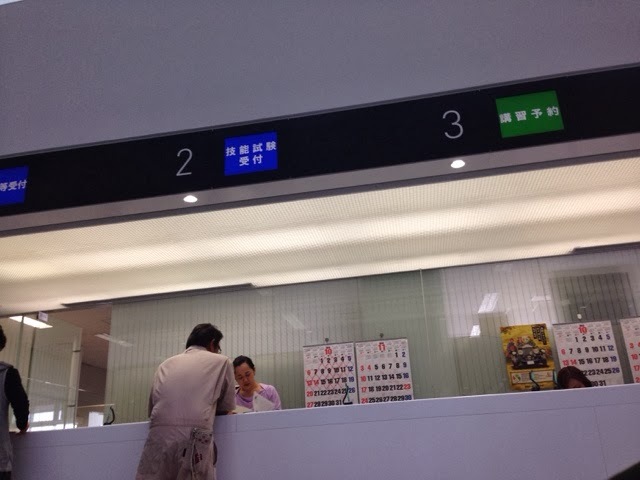 After that I had to take a drive to the Okinawan Driver's Licence Center in Tomigusuku. It takes about 25 minutes to drive there and has a lovely ocean view along the road. Once there you have to bring your documents to counter #10 to sign up for the written test. The written tests are only given on Wednesdays so I had to wait a few days before taking this part of the test. It also cost me 2,400 yen to apply for the test. Finally test day arrived. I had spent the prior two days studying Japanese road signs and taking practice tests online. I was a bit nervous but was confident in my ability to pass. The woman giving the test could only speak a little English but instructions had been written on a chalk board. The classroom was filled with about 20 people; about 15 Japanese and 5 foreigners. The foreigners leisurely walked in sat down and said nothing. But a group of younger Japanese men (maybe 19-20 years old) came in chattering and walking with a bit of a swagger. I wondered if I was the same way many moons ago. She explained the test in a Japanese-English hybrid language and then completely in Japanese. Finally she handed out the tests and told us to wait. The whole lot of us sat and watched the second hand slowly tick forward. At exactly 10:25 AM the test began. The tests consists of ten true or false questions and you can only miss three or you will have to retake the test. I don't mean to sound like I'm a big deal or anything but I finished in 3 minutes, checked my answers, sat there wondering if I had finished too quickly or if there was another part to the test and then handed my test in 5 minutes after it started. As I walked toward the front of the class I realized the eyes of everyone else were on me. I felt like a rock star. I had to leave right after and wait to find out the results of my test. That took about 45 minutes. From the waiting area I could see each person leave. Most of the foreigners finished quicker than the Japanese folks. Then we all sat there in silence waiting for the results. Finally they called us back in and called us up one by one. The first people called were those who passed the test. Needless to say I was called up second. VICTORY! From there I had to return downstairs to sign up for the actual driving test. Eventually all those who passed (there were about 8 of us) took a seat in front of counter #2. Further down the row of counter windows those who failed had to resign up for the writing test. Among those that had failed were the entire group of young Japanese fella's, though they lacked the initial swagger laden steps they had before. I don't know why but the Geto Boys hit song, "Damn it Feels Good to be a Gangsta," started playing in my head. At first things were at a standstill. Their English behind this counter was incredibly limited. Finally a wife of a fellow test taker offered to translate for us. Things made much more sense after that. They only offer driving tests two days a week. Wednesday afternoons and Friday mornings. I signed up to take the test on Friday October 18 at 8:30 AM. The day of the test arrived and I took the morning drive to the driving center. After paying and obtaining my test slip I went upstairs to the drivers test waiting area. Basically its a small section with walls on three sides and a map of the course in front of it. After waiting for a little while a driving instructor came in, handed out some educational sheets on how the test would go, then began a 30 minute lecture. There were small magnetic models of cars, trucks and motorcycles that he would occasionally scoot across the map. All 30 minutes was in Japanese and I had no idea what the hell he was talking about. This was one of those utterly sobering moments when you realize that even though you are slowly getting better at a language there's always more to learn. Afterward I learned that I would be 3rd to take the test. The first two people were testing on manual transmissions and I believe the second person failed. Finally it was my turn. The unfortunate part of going first is that you are unable to sit in the back to preview the person testing before you. Needless to say I was nervous. The first loop is a practice loop. They said it is to help relax the driver and allow them to get used to the car. Of course the first thing you are supposed to do is turn on your turning signal. In my car back home, and in my girlfriends car as well, the turning signal is on the left side of the steering wheel. Now, this car was a little different though. As I reached to turn on the signal the windshield wipers came on. Damn it! I made a mental note of this and then turned on my signal and proceeded with the practice lap. At the very next turn I did the exact same thing. Over the 15 minutes of my test I did this about 6 or 7 times! The guy taking the test next, who could speak a little English, could hear me cursing under my breath and we both had a short laugh the last time I did it. Well just as my test was about to end the test giver suddenly decided to start saying the number of the turns in English (each turn is marked with numbers which he had been previously saying in Japanese). "Twenty four." So I continue driving toward turn 24. "24! 24! 24!" and he slams on the breaks (these cars have breaks on both the drivers and passenger side). "24!" So I look at him, point to the turn sign 24 a turn ahead of me and say "That is 24... this is 22." "Oh." a scowl began to write itself on his face, "24!" At this point I knew I had failed so I relaxed, laughed (along with the man in the back) and took turn 22. After that I pulled in to get the reasons I had failed. The first reason was that I had sped up a little on a turn. OK that's fair enough. The second reason was I was stopping too close to the stop sign line (my bumper was about an inch into the line each time), and then he started speaking fast Japanese. When I told him I didn't understand he began to speak faster and with an irritated intonation. Then he said "Upstair. You hear?!" (I assume he was talking about one part of the 30 minute lecture). So I smiled and said, "I only understand a little Japanese." Then he went off in Japanese again and I pretended to understand to be able to get out of the car as soon as possible. As I left the car a middle aged man from India (watching the next test) asked me how I did. "I failed. Good luck!" Then I took the walk of shame back to the front counters to sign up for my next test. One week after I returned to take the test once more. This time I was far more relaxed and confident. I also was able to sit in the back seat before I took the test. I believe this to be a great advantage over my first test. The man taking the test before me was from India and was a terrible driver. His speed was erratic, his breaking technique nearly gave me whiplash and he took about 5 minutes more to get through the test than the average person. Well, he failed. Next it was my turn. Since there were only two people testing this time there was no one sitting in on my test. I felt ultra relaxed as we drove through the course. After I had finished I felt as if I had passed. The test instructor was different from my first instructor and was a hundred times more kind. After we finished the test he said, "Your driving technique is great! 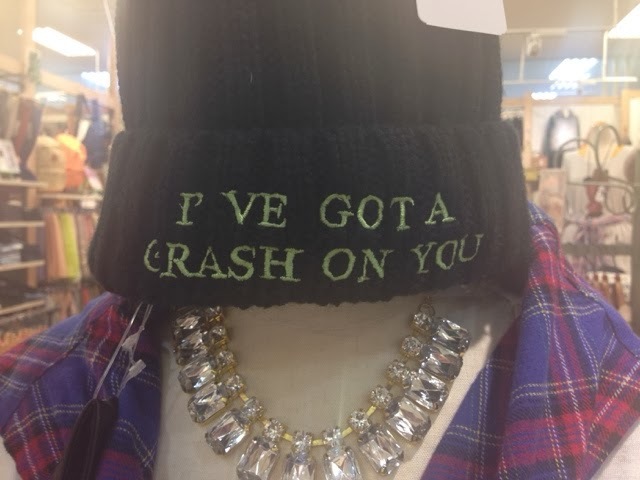 You drive very well!... But you forgot to spot check (checking the blind spot) here, here and here." He had the course map out and pointed to all the places on a one lane road that I hadn't spot checked. He made sure to tell me it's because of the high number of scooters who don't obey the traffic laws that they are so strict on this portion of the test. Then he told me due to these I did not pass. Gah! I had to take the test again?! Then he allowed me to practice spot checking and told me the next time I took the test I would pass. He wished me luck and off I went to sign up for the next week. When I returned on Nov. 1 there were quite a few people to take the test; Including three other foreigners. We sat through the 30 minute lecture and reviewed the course map. One person was a former Marine who moved back to Okinawa with his Japanese wife after being stateside for two years. Another was an older gentleman and the third was a young college age girl. The older gentleman was kind and wished me luck. The young woman, who came with what I assumed was a coworker or host mother, would not stop talking about how it was the driver instructors fault she failed the last few times. As I sat in front of her during the lectured I became rather annoyed and reflected on how many times I have blamed my failures on other factors or people instead of myself. So although I was annoyed, a small life lesson blossomed from that annoyance for which I'm thankful. I was selected to test first. It was smooth sailing throughout the test. As I pulled in to finish the test a flood of relief overcame me. After the car stopped he looked at me and simply said, "pass." Then he continued to tell me how difficult the course is for foreigners and congratulated me on passing. From there I went back downstairs to do some paperwork and take the photo for my brand spanking new license! Be careful Japan... I'M LEGAL! Did you know that you can shorten your long links with Shortest and receive cash for every click on your shortened links.